Jamaica Helicopter Transfers & Tours inclusive of air taxi, helicopter rentals, Montego Bay helicopter transfers, helicopter charters, aircraft rentals, Kingston Airport private helicopter flights as well as heli’ service. The flights offered are extremely fast, simple and very affordable. We offer flights which are secure and dependable. Jamaica Helicopter Transfers & Tours provide services to and from Ian Flemming International Airport, Tinson Pen aerodrome, Kingston Airport, Sandals Whitehouse, Montego Bay Airport, Portland, Ocho Rios Negril, St. Mary, Blue Mountain, Lovers Leap and Port Royal as well as more than 100 landing sites areas all through the island. Experience a Journey to the Caribbean that is Spellbinding! Fabulous, awesome, fascinating and just remarkable are some of the descriptions that refer to these wonderful flights. Nothing can compare to taking in Jamaica’s wonderful sights by helicopter.On the flight to Montego Bay Airport and back, you‘ll cross huge fields of sugar cane, endless orange orchards, bamboo and palms stands as well as regal mountain ranges. 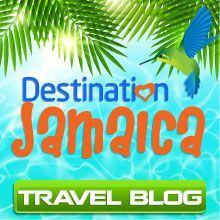 It is only through helicopter that you get to really comprehend Jamaica’s natural splendor. As you gaze out of the window, mesmerized by the surrounding loveliness, you‘ll cross the peak of a mountain and the lovely Caribbean sea which presents numerous hues of turquoise, then without warning, spreads out right before of you! This tropical sea is very clear and transparent, revealing an abundance of marine life. After landing, you‘ll discover that crossing this island has only consumed a few minutes of your time.Airport transfers are very common; however, we offer helicopter tours as well as transport all over the island. Visitors can enjoy their helicopter transfers and add a heli-tour along the way. This luxurious tour is guaranteed to make you fly to new heights. Depart from Ocho Rios and obtain a captivating view of Dunn’s River Falls which is popular throughout the world, prior to flying south over Linstead, which is a small town. It became famous due to the song ‘Linstead Market’ by Harry Belafonte, the musician. As you venture further town, you are going to view the stunning Bog Walk Gorge, prior to proceeding to Spanish Town, which is Jamaica’s ancient capital. It presents a splendid square and the most ancient Cathedral in the current world. Enthusiasts of history will be curious about Port Royal. Each aircrafts ranging from the Schweizer 300 and Bell Jet Ranger, are U.S. registered. These are under FAA or Federal Aviation Administration regulations as well as JCAA or Jamaica Civil Aviation Authority. The helicopters are maintained by mechanics that are licensed by FAA; they are examined and certified each year. Each of the pilots has years of experience in flying commercial flights with many hours flight time. So, you can enjoy your flight knowing that you are in very capable hands! You’ll enjoy the exceptional services provided by our very skilled staff at all time. We completely identify and comprehend the needs of your business travel. In this regard, we offer dependable, expert, executive hospitality for business or corporate clients who understand how precious time is and the need to save costs by using flexible schedules to commute. 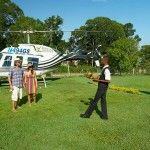 Get in touch with us today and make a booking for a memorable Jamaican excursion by helicopter! I read this article and found it very interesting, thought it might be something for you. 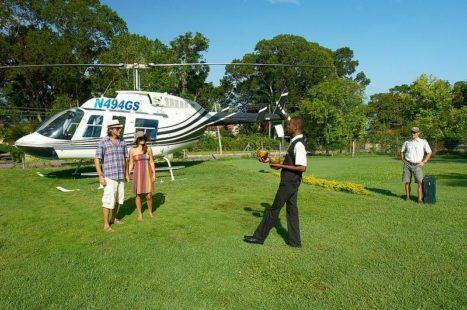 The article is called Jamaica Helicopter Transfers & Tours and is located at https://jamaicaquesttours.com/jamaica-helicopter-transfers-and-tours/.